From refined residences to formal public spaces, majestic churches to modern skyscrapers – the versatility of limestone continues to be a key element of style for the ages.Its play an essential role in your memorable designs. However, this natural stone has a range of beauty and versatility that can be used in a wide array of home designs. The appeal of limestone is that it offers a variety of colors and finishes. It comes in white, beige, light and dark colors and can be smooth or rough cut. Limestone can add an aura of beauty and warmth to any indoor or outdoor fireplace. Using rough cut stones or three-dimensional mosaics on exterior fireplaces can give it a more rustic look. Interior fireplaces often use smoother cut stones. Using limestone as a fireplace surround will add a contrast point to the primary stones in the hearth. In all of its configurations, limestone can pair well with the natural warmth of wood. When using limestone in a fireplace, it is important to use a sealant on the stone because it can absorb smoke and soot. Limestone walls have many applications in interior and exterior designs. A recent trend is the use of three-dimensional mosaics to highlight the veining while adding texture. These accents work beautifully in the kitchen, living room, or in entryways.What makes the limestone special is that when it is roughly cut, it can add ruggedness to any exterior, whether as a part of the home’s siding or as an accent wall. 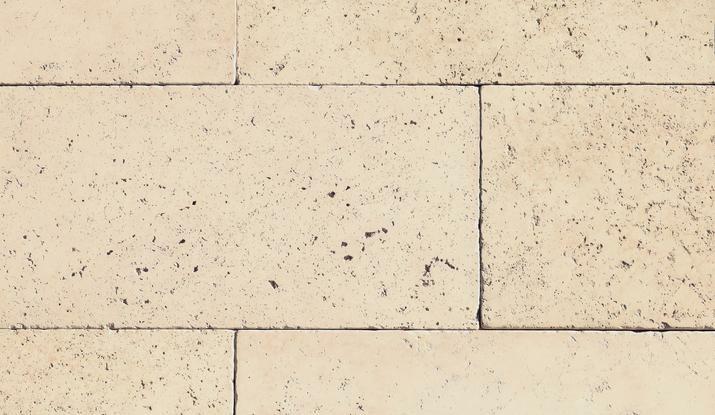 Smooth cut limestone can be found in many famous buildings and in French estate styled houses. Limestone is also soft enough to be sculpted and can be used to create large decorative elements in the back or front yard, such as columns. Using the stone as an interior wall element, a designer has a little more leeway in its application. Limestone bricks will fit into any design. Applying the variations of its natural color, limestone works well with many different building materials, such as wood and other natural stone. Stone Sample suitcase for natural stone. In short,Limestone is a durable, natural material that can be used in various designs and areas both in the home and outdoors.